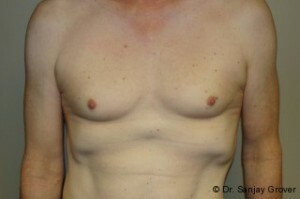 This patient was dissatisfied with her lack of breast tissue. 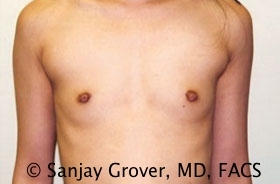 She underwent a breast augmentation with a submuscular dual-plane technique through a periareolar incision with high profile silicone implants. 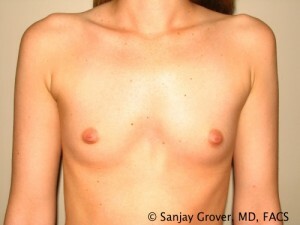 The patient went from a size A to a size C/D post surgery. She is very happy with her results.